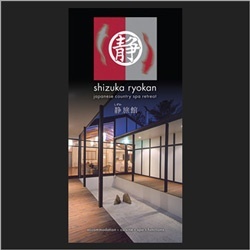 Shizuka Ryokan is a traditional Japanese inn, located in country Victoria. Hundreds of years ago ryokans—traditional Japanese inns close to natural springs—were a place for Japan’s samurai warriors to rest and reflect. Japanese culture has a deep respect for ometenashi—hospitality. Shizuka Ryokan is a quiet, minimalist space. It has traditional elements such as: tatami mats, yukata robes, bonsai, shoji screens, futon beds, Japanese architecture, and a Zen rock garden. The genuine hospitality of the owner Catherine Defina, and the professional services of the hospitality and spa staff, ensures that guests leave Shizuka Ryokan relaxed and revived. Highlights include traditional Japanese cuisine and spa and wellness treatments. 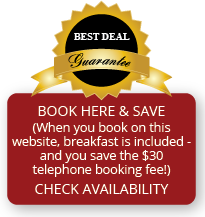 Located just 75 minutes from Melbourne—in Hepburn Springs near Daylesford—Shizuka Ryokan is an authentic Japanese experience that is close to home.